Available on DVD May 3rd. Join some of your favorite characters from hit preschool shows such as Blaze and the Monster Machines, PAW Patrol, Team Umizoomi, and Dora and Friends for exciting adventures in this brand-new DVD containing 144 minutes of educational entertainment. 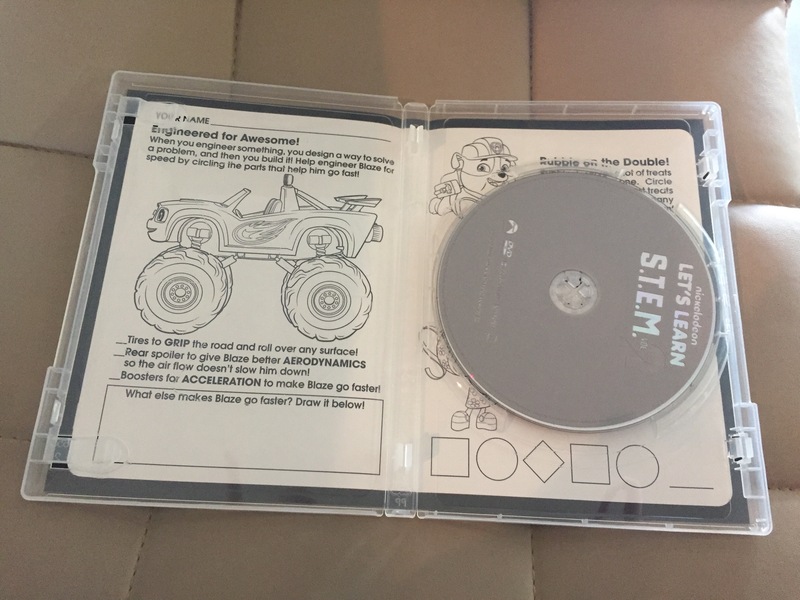 Each DVD contains a S.T.E.M.-themed worksheet as a free gift with purchase while supplies last. There’s no shortage of science and math fun in Let’s Learn: S.T.E.M. Vol 2, Nickelodeon’s second DVD dedicated to the world of numbers. A hot topic for educators everywhere, S.T.E.M. 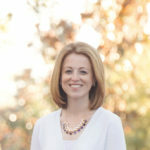 education (science, technology, engineering and math) has proven to be the perfect tool in jump-starting children’s interest in problem solving and technology. Nick’s Let’s Learn: S.T.E.M. 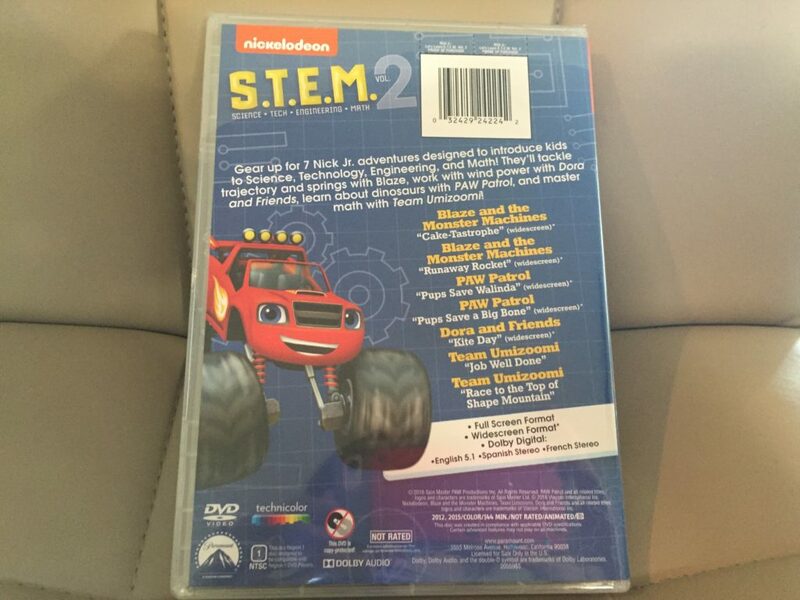 Vol 2 contains more than 140 minutes of S.T.E.M. 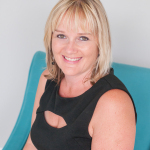 – themed adventures with Blaze and the Monster Machines, the first preschool show on TV to comprehensively cover all areas of S.T.E.M. in every episode, as well as fan-favorites Dora and Friends: Into the City!, PAW Patrol and Team Umizoomi. In addition to expanding imaginations and developing inquisitive minds, the Let’s Learn: S.T.E.M. Vol 2 DVD also comes with a S.T.E.M.-themed worksheet to reinforce some of the lessons learned throughout the collection. 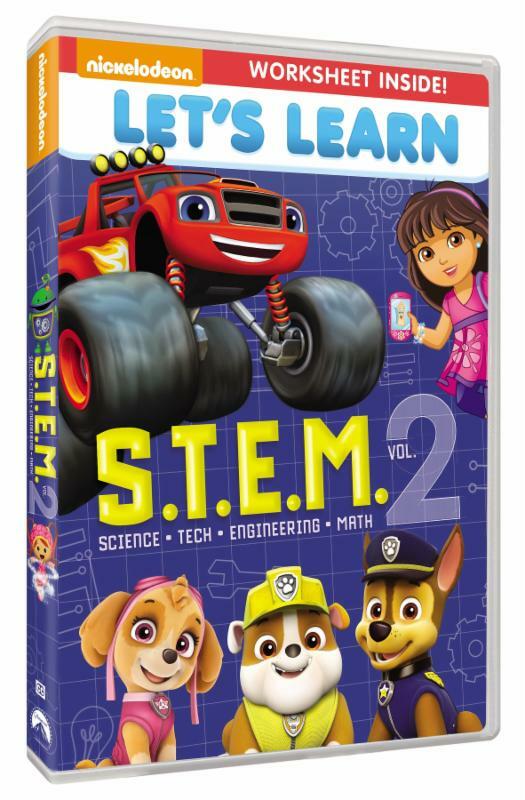 Produced by Nickelodeon Home Entertainment and distributed by Paramount Home Media Distribution, Let’s Learn: S.T.E.M. Vol 2will be available on DVD May 3, for the suggested retail price of $14.99. This DVD is filled with favorite characters, songs and language that kids can understand, yet poses a bit of a challenge to their young minds. The stories have the characters working together to solve problems, and keeps my children entertained the whole time. This DVD finds the perfect balance of entertainment while learning at the same time. My children love Nickelodeon shows, especially Paw Patrol and Dora. I try to limit their television viewings to only educations shows, which Nick Jr. has plenty of them. They were very excited when we had a chance to review a copy of this DVD before it is released to stores on May 3rd. I love how these episodes incorporate Science, Technology, Engineering and Math. A cute coloring S.T.E.M. worksheet is also included! My 4 year old and 7 year old watched every episode and loved each one. I love that they are learning while watching their favorite shows! 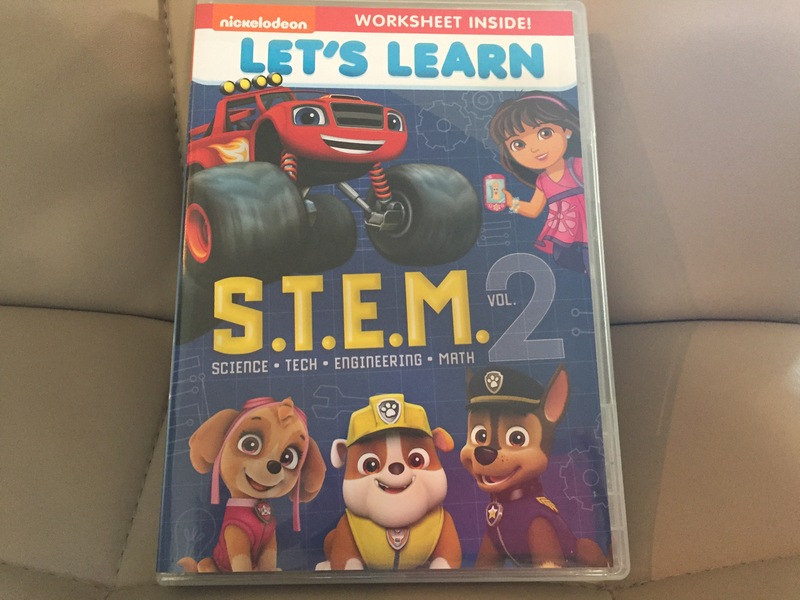 Nickelodeon’s Let’s Learn S.T.E.M. Volume 2 retails for approximately $14.99 and will be available to purchase on May 3rd. You can pre-order right now through Amazon.com for $9.99. ***I was given a copy of this DVD in exchange for my honest opinion. This review is based on my experience with the DVD. I am not affiliated with the company and everything in this review is my opinion.